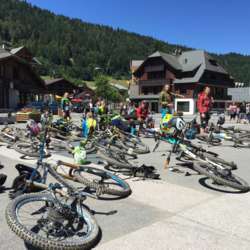 You must be a member of the Frankfurt Mountain Biking Group to attend this activity. Would you like to join this group? Protected content just started and the first Internation rides are already scheduled. So I am looking forward and hoping to see many of the FFM MTB riders.